What does this mean for employers? It means that many of your employees are working parents with at least one minor child in their home. No matter what the gender breakdown of your company is, you likely have numerous working parents in your company. Some working parents in your office are going to be the only workers in their families, with their partner or spouse staying home. Others are part of two-worker households. Still others are single parents. Every parent in your company has needs that are unique to them. For example, a single parent or one whose partner also works may need some additional flexibility in terms of taking time off to care for a child who is sick. Parents of children with disabilities may benefit from telecommuting arrangements that allow them to work away from the office when they are traveling for appointments. Figuring out how your company is going to accommodate working parents is such an important step in building a workplace culture, and we’re here to give you some advice in how to make that happen. One of our most important pieces of advice? Don’t treat this like a list of things you need to change about your company in order to satisfy your employees who also parents. Yes, working on this list will make certain employees happier and more excited to work for you. But that’s not what we like to focus on. We want you to focus on accommodating working parents as a recruitment tool! We are currently in a candidate-driven market, and that means that job seekers have a lot of options available to them. There are more open positions than candidates to fill them, and so top tier talent can be highly selective as they decide where to apply for jobs, and whether or not to take what is offered. Being an office that is friendly to working parents isn’t just about making your current workers happy; it’s about being an outstanding workplace for the best possible job candidates out there! PTO is one of the best ways to appeal to working parents, especially working moms, according to surveys. Working parents want to take a vacation from time to time, sure, but that’s the same as anyone else. The big difference with working parents is that they have additional people who sometimes need extra care. A sick child needs a parent or caregiver during the day, and most schools and daycares don’t allow children to return until they have been symptom free for 24 hours. Having a good PTO policy lets prospective employees know that they will have the flexibility to care for their children when they need to! Many parents don’t want to take time off when their kids are sick, but would like to have the flexibility to work from somewhere other than the office. Being flexible about where people can work is a great way to accommodate working parents. If someone doesn’t need to be physically present in order to complete their job requirements, why not let them have some days when they can work out of the office? This allows them to be more productive, even on days when they are needed elsewhere. Not all parents want the same things. It will be important for you to put time and effort into understanding what benefits working parents are currently prioritizing, especially in your geographic area. Of course, a great health care plan with dental coverage is always in high demand, and that benefit alone can help you stand out compared to your competitors who may offer less impressive policies. Paid parental leave is not a requirement in the United States, although some states are starting to require it. More probably will in the future. 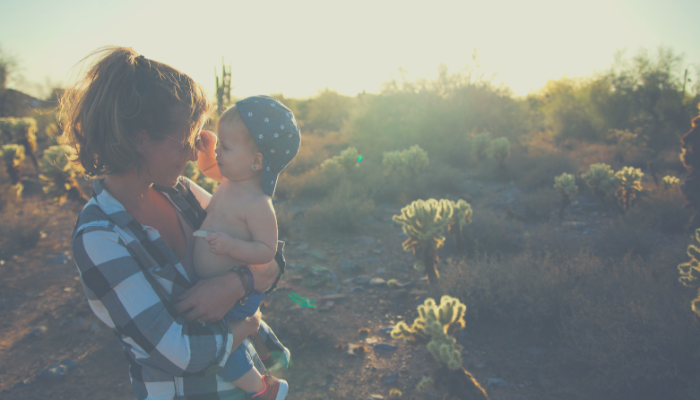 If you’re not in one of the states that requires employers to provide paid parental leave, why not make yourself stand out among the crowd by offering an incredibly competitive policy? You may need some extra guidance when it comes to recruiting the top working parents in your industry. Check out our free Employer’s Guide to Pay Gaps and Gender Equity, and let us know if you have any questions about hiring working parents, recruiting top talent, managing the candidate-driven market, and creating strong policies that improve your workplace culture.